Thomas O. "Tom" Engler is the director of the Center Planning and Development Directorate at NASA's John F. Kennedy Space Center in Florida. He provides strategic leadership and management integration of center planning activities, partnership development initiatives and technology development activities to enable Kennedy as a multiuser spaceport supporting both government and commercial launch providers and their customers. He leads the identification and development of strategic and business partnerships that advance NASA and Kennedy goals, and provides the Kennedy "front door" interface to industry and other governmental organizations. Engler also ensures the effective use and development of the center's land, facilities and technical capabilities in support of NASA missions through center land use planning, development of spaceport infrastructure and business strategies, and the preparation and coordination of the center Master Plan with NASA organizations and external stakeholders. He is responsible for the development, negotiation and coordination of proposed real estate agreements with public and private entities for use of Kennedy land and facilities. He also is responsible for managing the integration technology development and technology transfer activities at Kennedy. Prior to this assignment, Engler was manager of the organization's Partnership Development Office. His efforts were focused around identifying new opportunities to bring commercial launch, spacecraft manufacturing, technology and related business to Florida, as well as leading efforts to increase university partnerships with Kennedy. Formerly, Engler was the team lead of the Space Shuttle Program (SSP) Reusable Solid Rocket Booster (RSRB) Assembly and Refurbishment Facility (ARF). His responsibilities included managing all of the operations that occurred at the SRB facilities at Kennedy, which included four complexes of facilities located across the center. These operations encompassed over 800 employees that manufactured flight critical components for the RSRB. In addition, he was responsible for managing the facilities infrastructure for the SRB facilities, which included managing day-to-day maintenance of the facilities to preparing agency Construction of Facilities requests. 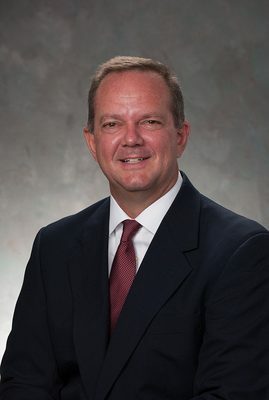 Engler holds a Bachelor of Science in electrical engineering from the University of Alabama in Huntsville, and a Master of Science in computer science from the Florida Institute of Technology.